A second chance, road-trip love story – oh yes please! I loved this sweet story between Nick and Cameron as they find their HEA and cross-country adventure too! 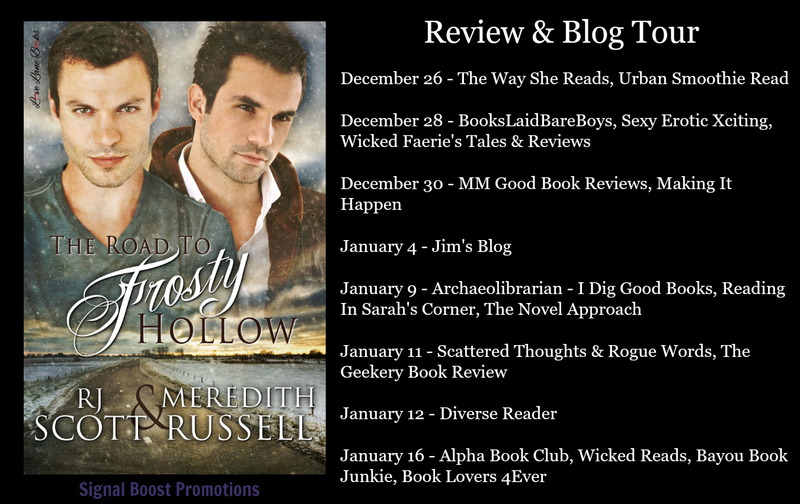 I hope you’ll check out my review of The Road to Frosty Hollow and the great GIVEAWAY too! Nick and Cameron face old demons, and find new love, on a Christmas road trip. Former Marine Nick Sheridan is at a crossroads. With his entire life ahead of him he struggles to find direction and his place in the world. Car sharing to get home for his sister’s Christmas wedding seems like a good idea at first. Spending the time with the man he kissed and left years before, maybe not so much. Cameron Bennett lost most of his teenage years to cancer and he now lives every day to the fullest. He decides to drive from Seattle to Vermont for his best friend’s wedding and capture moments of it on film. He hadn’t planned on car sharing with the man who kissed him ten years ago, but somehow he ends up with a brooding Nick by his side. Along the way, the men learn that sometimes life plans mean nothing in the grand scheme of things. Love can be found in the most unexpected of ways, and facing your demons head on is sometimes the only way to live. 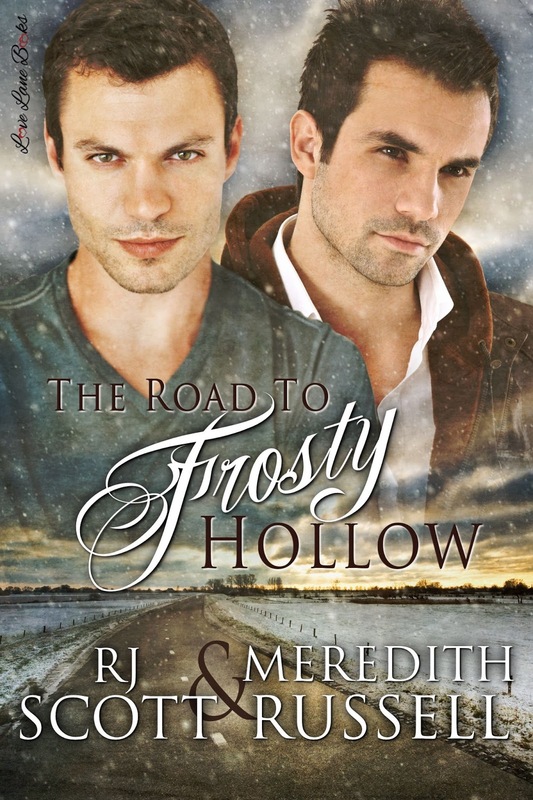 I am a total sucker for a second-chance story – I love them and I can definitely add The Road to Frosty Hollow as one I fell in love with. This was a sweet story that got me right in the heart and I really enjoyed it from start to finish! Nick’s life isn’t really going as planned and he has some decisions to make. Does he stay in Seattle and try to make things work or is time to pack it up and move back home, across the country. He’s got a few weeks to make his decision, but those will be spent on a cross country, adventure filled road trip with Cameron. Cameron, the guy he kissed years ago, the guy who walked away from him and the guy who happens to be his sister’s best friend. Cameron tries to live life to the fullest, battling cancer as a teenager taught him that. He’s spent enough time just watching from the sidelines. This road trip with Nick wasn’t something he planned but he’s determined to make the best of it, all the while coping with a fear that he is sick again. These two are just heart-melty wonderful together. Sure there is awkwardness between them at first, but there is also a deep connection. They easily rebuild their friendship, having fun and enjoying themselves during the different activities and adventures they come across, some strategically planned by Nick’s sister and some of their find on their own. As their journey across the country continues the two grow closer and realize that there is the potential for more between them, that they definitely have chemistry together. There was a great mix of emotion in this story for me! There’s the sweetness, the tenderness these two have together. It’s so clear that they really do love each other despite the misunderstanding from years ago. There were also times when my heart broke for them, especially Cameron as he struggles with the possibility of cancer coming back. There’s a passion and humor and so much love! Nick and Cameron are both such great characters that you just can’t help loving and rooting for on their journey to their HEA! I would definitely recommend this book and know that it is one I’ll read again and again to make my heart smile! RJ Scott is the bestselling gay romance author of over ninety MM romance books. She writes emotional stories of complicated characters, cowboys, millionaire, princes, and the men who get mixed up in their lives. RJ is known for writing books that always end with a happy ever after. She lives just outside London and spends every waking minute she isn’t with family either reading or writing.